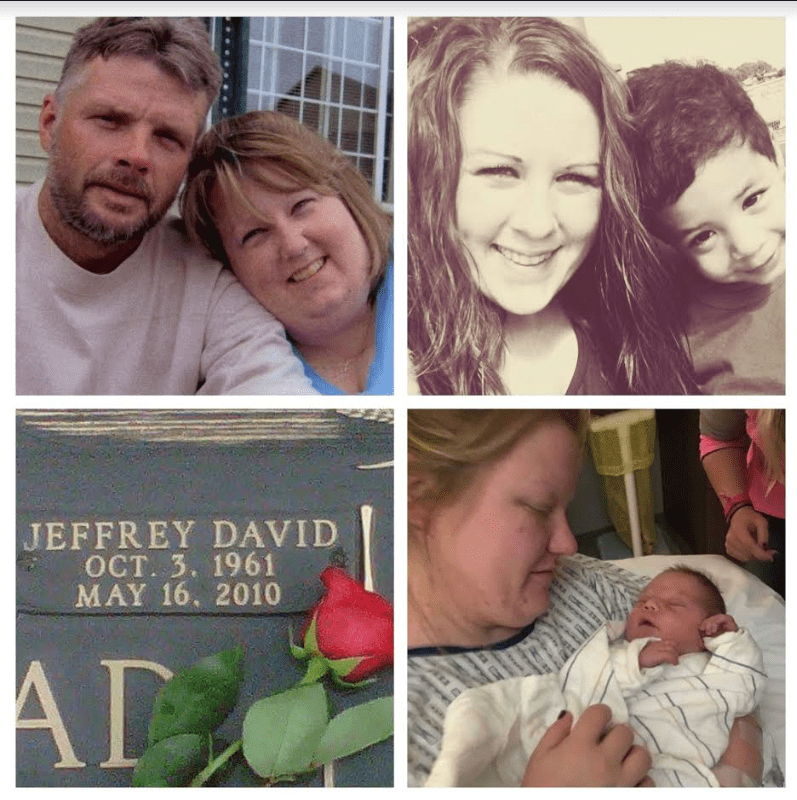 “Jeff collapsed at our home. I didn’t know what was wrong, but I was a Certified Medical Assistant and started CPR right away. To have to perform this on your husband of 20 years, with your children watching, was horrifying. In response to our 911 call, the Police arrived first and used AED (defibrillators), and once the paramedics arrived we watched them trying to get his pulse. They drilled a line into his leg bone with an actual drill. Once we arrived at the hospital we find out that Jeff has coded in the ambulance five times, and his chest bone was bruised and bleeding from all the CPR. I had to make the decision not to recussitate him, and at that point he was put on life support without further coding. Trying to explain to our daughters that he wasn’t really alive, that the machine was keeping him alive, and that ultimately we would need to let him go, was the hardest thing I have ever had to do. They kept thinking that I was just letting him die – they just couldn’t understand that he would never again be the man we knew and loved. During the 10 hours that he was on life support, while I was trying to explain all of this to our daughters, Jeff coded for the last time. The hospital staff was looking at me for guidance. I told them to let him go. Our daughters and I, as well as many other family, surrounded Jeff’s bed and prayed for his peaceful journey home to heaven. Next Post: A Blood Test for Brain Aneurysms? Our 2016 Grant Shows Promising Results!